all down and preserved their cultures. Hanging Gardens at Babylon. 19th Century depiction. 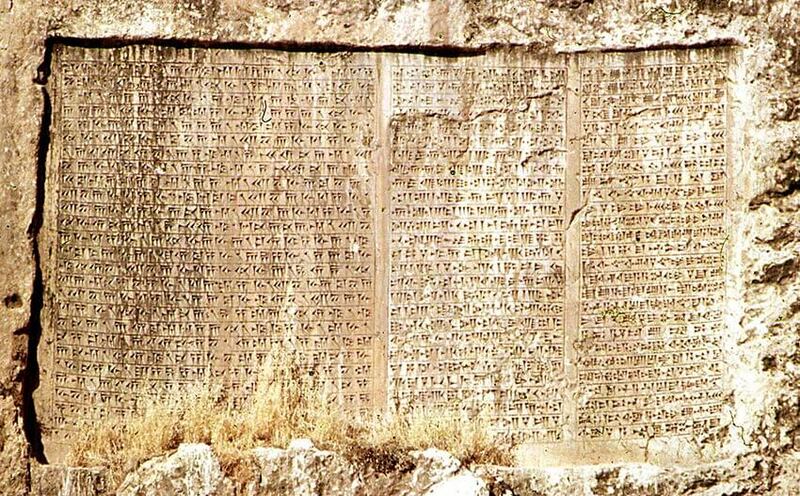 tablet, dates back to 3500 BCE or so. Cuneiform in Old Persian, Babylonian, and Elamite. Image: John Hill, CC BY-SA 3.0.
culture. The art of the time consisted of a lot of pottery and carvings. 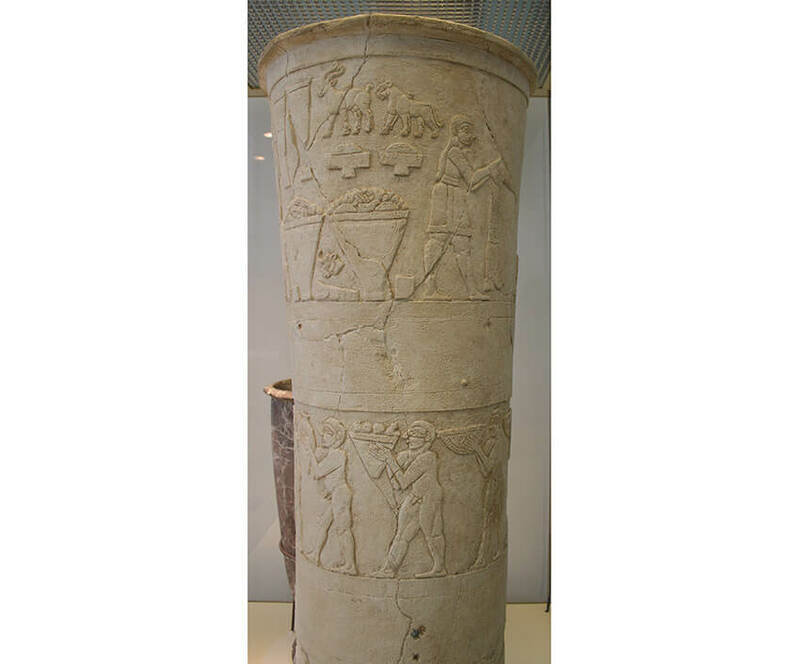 Warka Vase. Image: Einsamer Schütze – Own work, CC BY-SA 3.0.
sculpture, having one side of it still anchored to the entire structure. Sumerian Worshipper. Image: Osama Shukir Muhammed Amin FRCP(Glasg) – Own work, CC BY-SA 4.0.
while running through art history. shell, lapis lazuli, and red limestone. mosaics brings us to another Early Dynastic creation, the “Standard of Ur”. Standard of Ur, 26th century BC, “War” panel. decomposed over time, losing its place in history. sculpture of one of the Akkadian kings. The sculpture below was rendered in bronze. 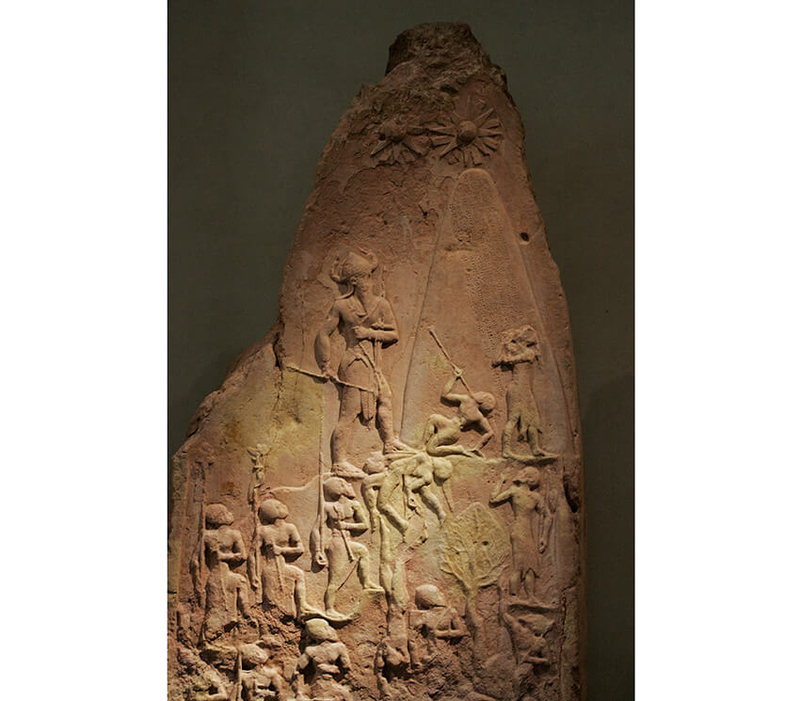 Victory Stele of Naram-Sin. Image: Rama – Own work, CC BY-SA 2.0 fr. a divine figure, something pretty common throughout human history. decorating their public buildings and palaces. 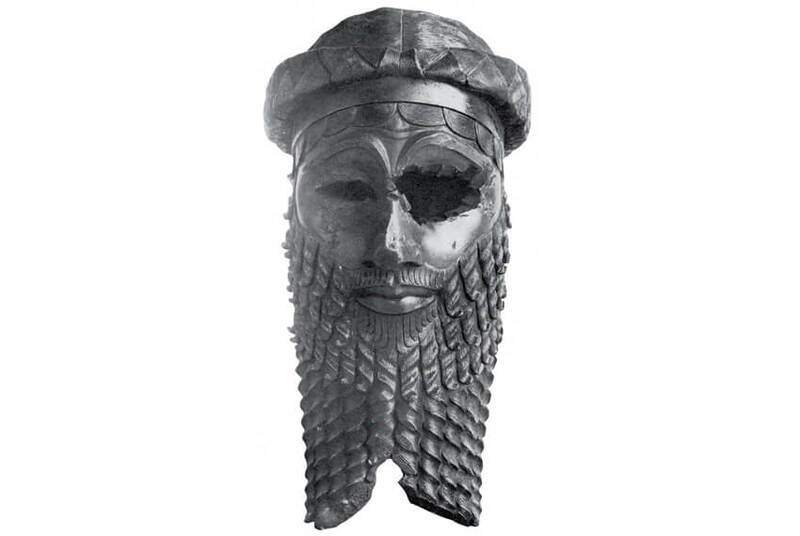 Winged Genii from the palace of King Sargon II at Dur Sharrukin. 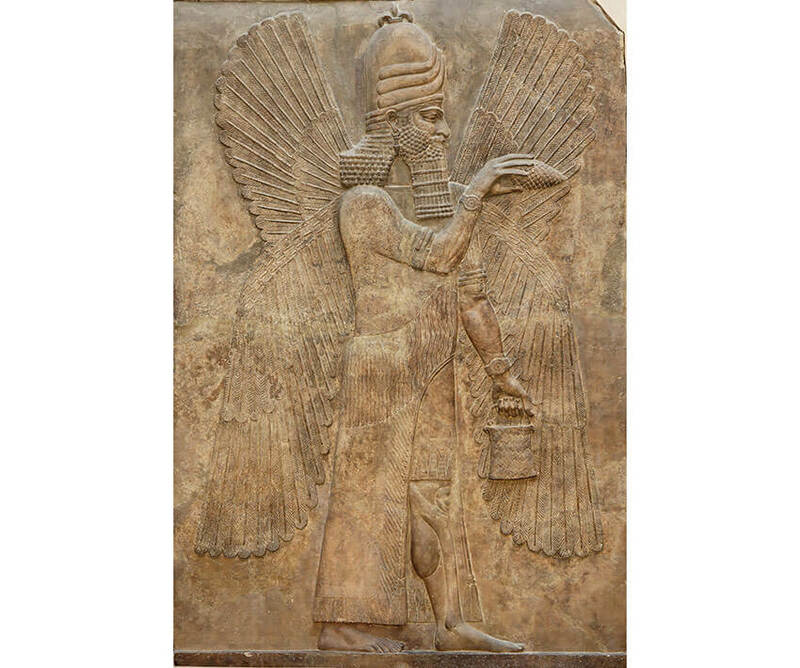 difference between carvings of kings and genii being the wings. well-known mythological creatures as the Chimera, Pegasus, Griffin, and Talos. depictions and written accounts of the gardens, but none that were first hand. 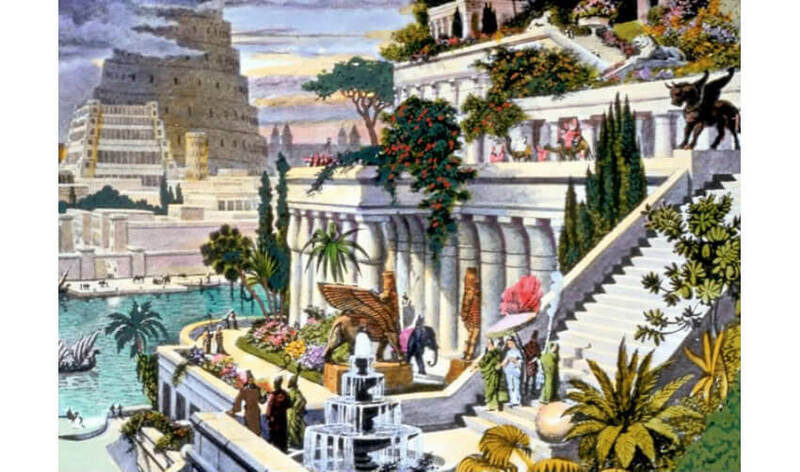 Hanging Gardens of Babylon. Early 20th-century illustration. however, or simply quote lost texts, the gardens may have been Assyrian rather than Babylonian or may be entirely mythical. 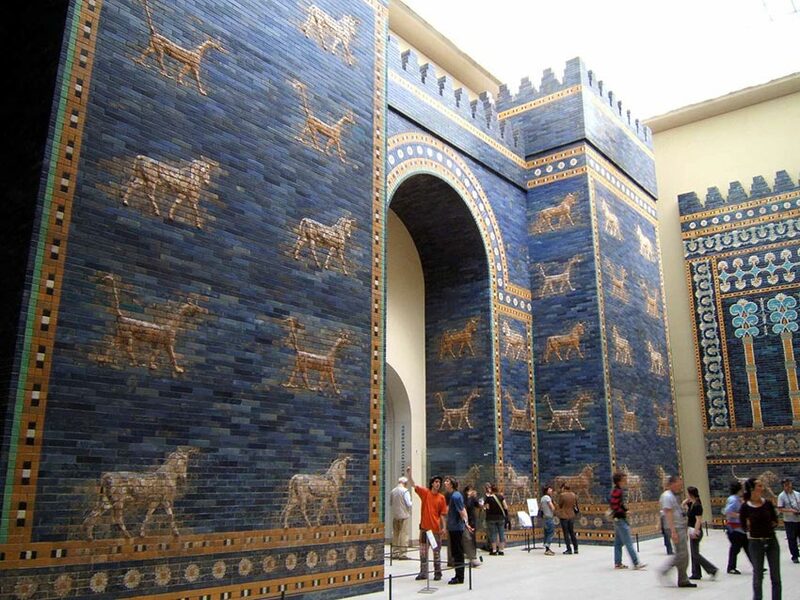 Reconstruction of the Ishtar Gate at the Pergamon Museum in Berlin. Image: Rictor Norton, CC BY 2.0. 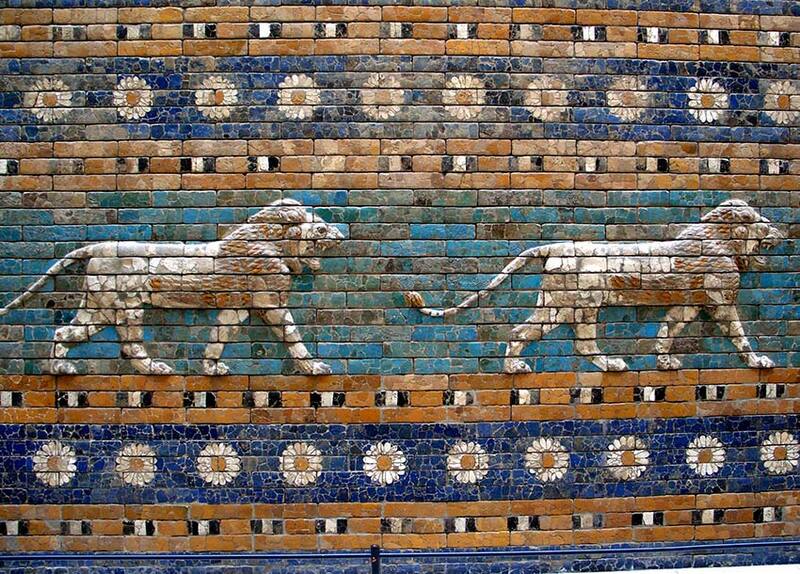 Lions and flowers on the Ishtar Gate. 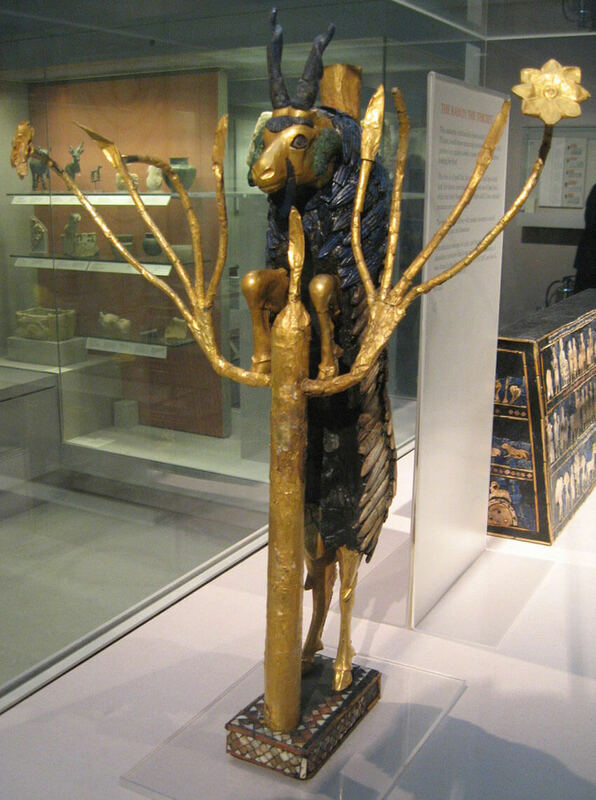 Image: Josep Renalias – Own work, CC BY-SA 3.0.
of Marduk, chief god of Babylon. 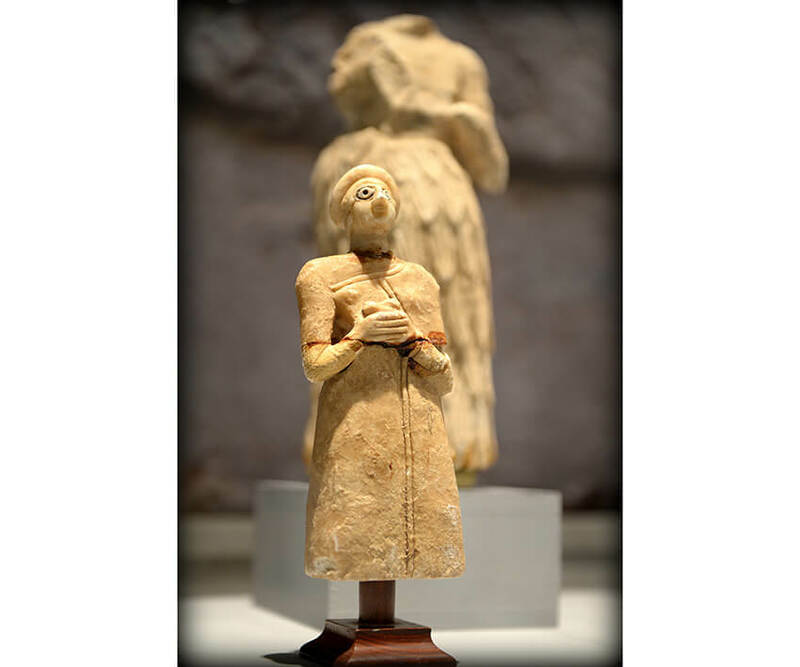 meant to honor leaders and gods, art was in full bloom in the Fertile Crescent. throughout Mesopotamia. Next time we’ll journey a bit west, to Ancient Egypt! more about Mesopotamian Art? Check out these links below! Thank you for this article..very helpful!